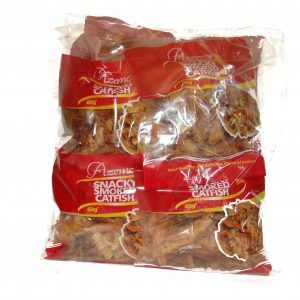 Our snacky smoked fish is healthy and delicious catfish snack, carefully and hygienically prepared just for you. Catfish serves several body nutrients and it is safe enough to be taking daily which makes it a very good snack to have handy. It can be eaten at home, in the office or anywhere and healthy enough to be taken by children or adults. 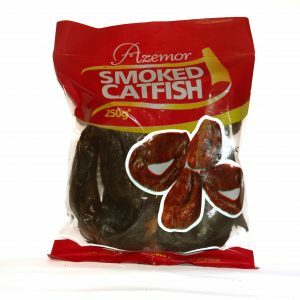 Our smoked African catfish is prepared under the best hygiene conditions.They are devoid of stones and dirt free. 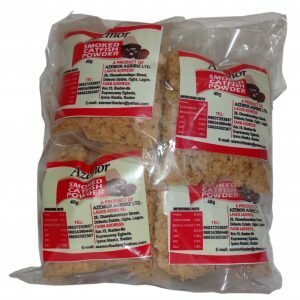 Carefully and hygienically made from our delicious dried smoked fish; ground to powder. Our Oyster Mushrooms are tender in texture and in a graceful seashell-like shape which makes them a versatile addition to many recipes. 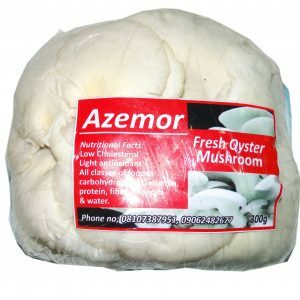 This fresh oyster mushroom can be used in making sumptous meals, they impart more of their delicate, briny flavor when cooked and have a velvety texture. Sauté oyster mushrooms with butter and onions to help bring out more of its flavour. It also makes a tasty side dish and snack which can be added to your pasta or sandwiches. Very high in antioxidants, helps reduce inflammation, cholesterol while boosting the health of the brain.